Getting you where you want to be... HOME! As is often said,real estate is about location, location, location. We have extensive knowledge of the Richmond, VA area and can help you find the right home for you or the right buyer for your home. Jamie's enthusiasm for real estate and helping others is evident through her success. She began her real estate career in 1985 with Virginia Properties, which became part of Long & Foster in 1999. Jamie has excelled in real estate, demonstrated by her numerous sales and achievement awards. 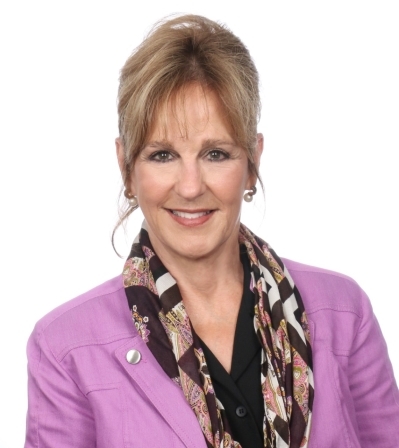 She has been recognized as a Distinguished Achiever by the Richmond Association of REALTORS and the Homebuilders Association consistently since 1990. In 2015 she was awarded the prestigious RAR Outstanding Sales Associate for the Richmond Metropolitan Area. Christie's International Real Estate designated Jamie as a luxury specialist in 2016. After years as a Top Producer and 30 years in the business she created the Jamie Younger Team. Jamie achieved the Associate Broker designation in 2017. This exquisite executive brick home is ready for immediate move-in and conveniently located in a cul-de-sac in Burgundy Parke. Entering the brick arched portico into the fabulous 2-story entry foyer, take note of the spacious and luxurious feeling reinforced throughout the home with vaulted ceilings, quality building finishes and multiple fireplaces. This home features 4 bedrooms and 3.5 baths, gourmet kitchen with morning room, granite counters and granite cooking island, with ss appliances including a wine cooler and separate wet bar, hardwood floors throughout the downstairs, new carpeting in all bedrooms, and large formal rooms with elegant display alcoves. The bedroom on the first floor has its own private bath plus direct access to the deck. The 2nd floor Master Bedroom features a beautiful, tile surround fireplace, master bath with granite his and hers vanity sinks, breath-taking chandelier, skylights and a huge walk-in closet. This home is close to all the Short Pump action including restaurants and shopping plus quick access to I64, I295 and Rte 288. "We have worked with Jamie and her team multiple times and have been extremely satisfied. Jamie has a wealth of experience and her knowledge of this market is invaluable. Hard working and professional! Hard to beat." "Jamie Younger and her team at Virginia Properties were outstanding. They accommodated our schedule but also gently nudged us toward making the house available at an especially advantageous time. They made astute suggestions on enhancing the appearance of the house and yard. They fulfilled every commitment they made exactly as promised. We received a contract on the house the day it went on sale! We could not be happier!" "Jamie Younger and her team always go the extra mile for their clients, and just sold our home in less than a month! She also negotiated the contract for the purchase/building of our new home and was able to get us an extension on the down payment. The team holds your hand every step of the way taking care of all the details. Their knowledge, professionalism and personal approach are second to none. Jamie has been, and will always be, our ‘realtor for life’!"